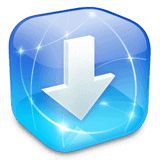 We’re glad to announce the best ios development tools that are immediate available for download, InstallerApp 1.0.2. We have worked hard to work out most of the minor kinks that have prevented us from doing a major feature update work — so enjoy this version and we’ll be focusing on new features for the next update. Number of other minor fixesDownload now or view product info.